Throughout history, gems have been admired for their beauty and grace. But have you ever wondered what transformation must have taken place before these miraculous gifts of nature are ready to purchase. Skillfully merging art and science, a variety of techniques are used to help gemstones reach their full potential. 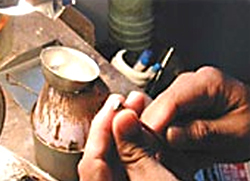 Critical as good cutting, treatments are an integral part of the modern gemstone industry. With its roots in antiquity, most of the treatments used simply facilitate the beautiful end results of the earth's natural processes. With close to 99% of the more popular gem types treated, all permanent treatments are universally accepted. As the majority of gemstones traded internationally have undergone some form of treatment, always assume treatment when purchasing gemstones. For some varieties there is no difference between the value of treated and untreated gemstones. However, high quality unheated rubies and sapphires are extremely rare and command a much higher market price. When purchasing rubies and sapphires, please be aware that unheated material is almost non-existent, as a result, always purchase from a reliable supplier or have the seller's claim verified by a gemologist. 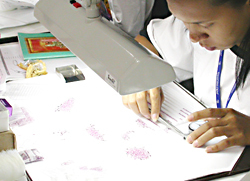 Selecting the rough material before cutting is one of the most important stages in the processing of gemstones. It requires tremendous experience and expertise. Mistakes during selection are not tolerated as this step has a direct effect on the outcome of the finished product (i.e. carat weight, quality etc.). 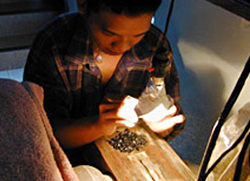 The rough selector's duty is to separate rough gemstones into two groups; those that require further cutting and those that can be preformed. The clarity of the rough is carefully inspected using a special light source to determine whether it is necessary to cut the rough into two, three or more pieces to obtain the best clarity. Slicing, also referred to as sawing, is one of the most crucial stages (if not the most crucial) in the processing of gemstones, as it will ultimately determine the size and color of the finished product. Once the rough is selected, the gem slider will determine how to cut, where to cut, and how many pieces to cut, in order to produce the highest yield percentage. If the rough is cut incorrectly its color maybe diminished, relegating an exceptional gem to the ordinary. Once the rough has been carefully cut, preforming commences. This process requires tremendous experience and concentration. Preformers carry a great responsibility, as they must determine the most suitable shape for each gemstone. Preformers always bear in mind the weight of the finished product, as they are also responsible for trying to maintain each gem's weight during the process. 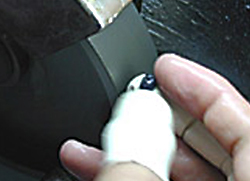 In many cases, a qualified selector also assists in determining the shape of a gemstone during the preforming process. The next stage is called shaping. While not all of the preformed gems go through this process, many are shaped to obtain a more accurate presentation and size. 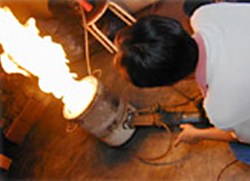 The shaper uses a special type of heat activated resin to affix the preformed gemstone onto a metal rod, commonly called a “dob stick”. 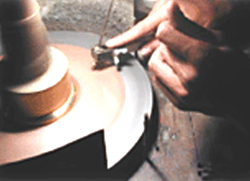 The shaper then delicately applies the gemstone to the shaping wheel. Due to the immense precision required by this process, the shaper is usually a very experienced preformer. 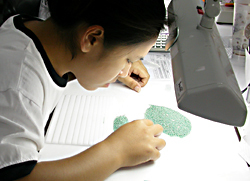 The final step in the processing of gemstones is known as polishing. Once gemstones have reached their ideal sizes and shapes, they are taken to the polishing wheel where the polisher gives them the final touch, revealing their hidden luster. Before being set in jewelry, qualified professionals carefully examine each gem, separating them according to their clarity, color, cut and carat weight.